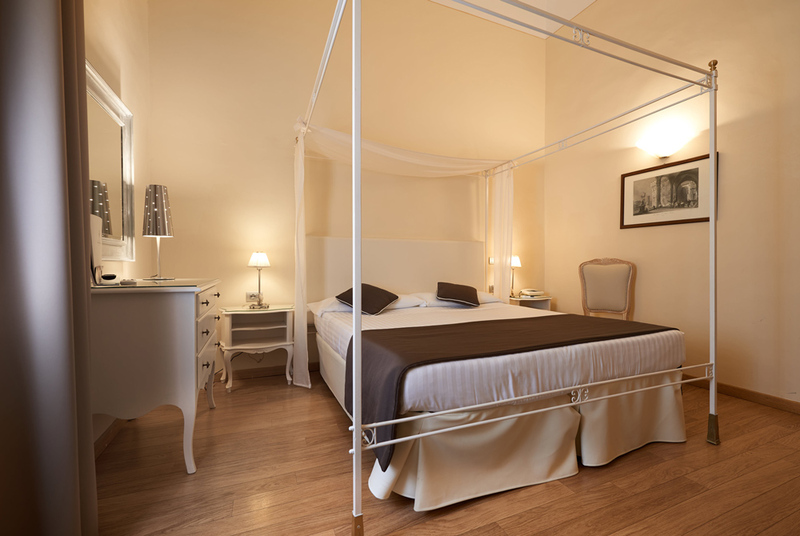 The rooms at the Cosimo de’ Medici Hotel have been conceived thinking about all Your possible needs your comfort during your stay. All areas are soundproof thanks to double paned windows and to the use of new generation building materials. Rooms are equipped with all comforts: air conditioning, independent heating, TV with channel in foreigner languages, safe, frigobar and telephone. Our beds have orthopedic mattresses, provided by a leader company, which will allow you to have an actual restoring sleep. Services are of superior quality with the utmost care given to detail. 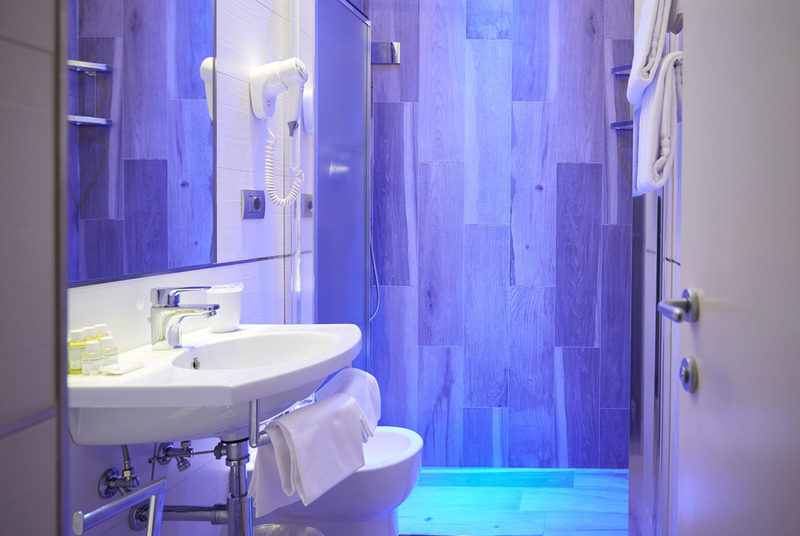 All our bathrooms are renovated and equipped with shower, hairdryer and wellness kit (on request). In one of the family room, a Jacuzzi tub is also available. 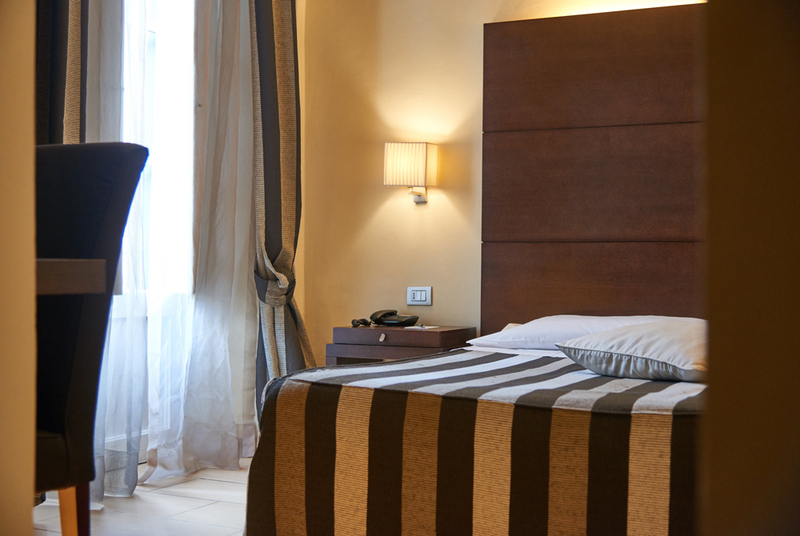 Cleaning service and change of towels are daily, our housekeepers are professional and have been working with us for years (as a proof of our seriousness). 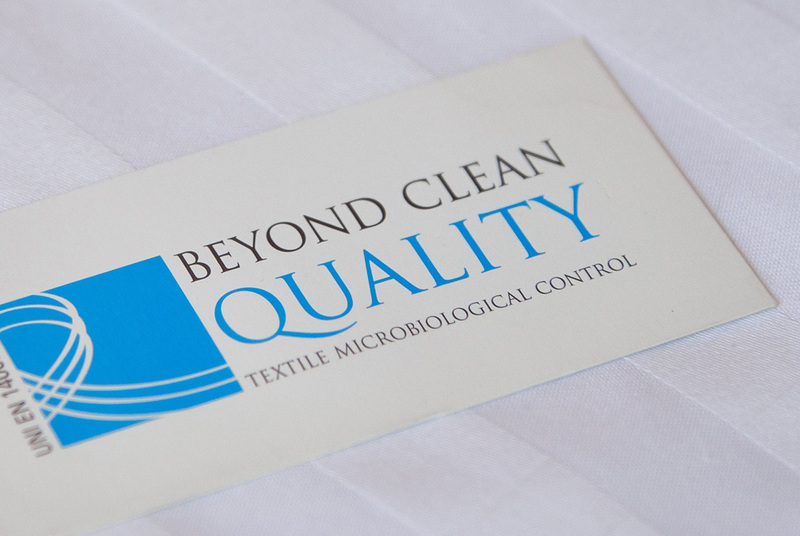 They follow regular training courses to guarantee to You spotless rooms, which will pass through hard examinations. In addition to this, they use ecological cleaning products by Ecoworld company.